Lost me at the title. "Maybe"? That means speculation. Better suited to Skunkworks. That guy is definitely CIA. * BuzzFeed publishes their first story based on the material made available to them through DC Leaks. * The Intercept publishes their first story based on material made available to them through DC Leaks. 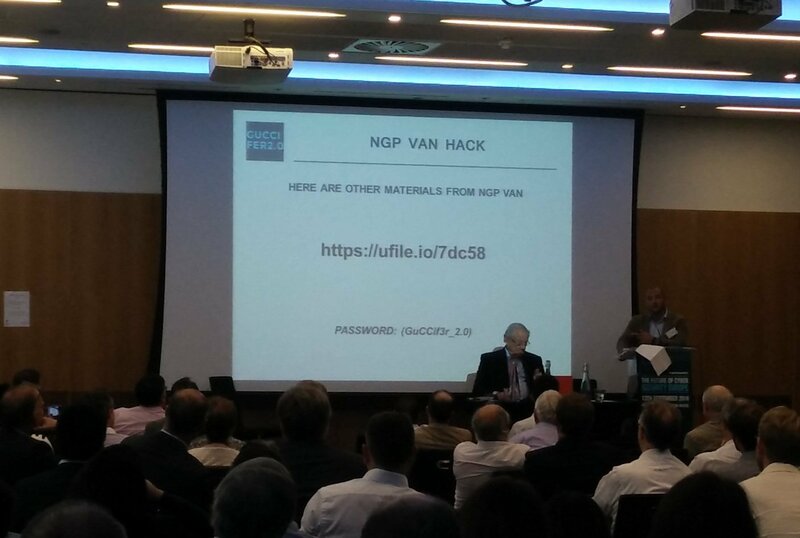 * An archive of files reportedly stolen from the DNC was released through a "representative" of "Guccifer 2.0" at the Future of Cyber Security Europe conference in London. That same day, WikiLeaks also promoted the same archive on Twitter but it looks like they were tweeting sometime after the info was already circulating. The Sept 4th email makes reference to both DNC and Colin Powell documents. Nine days later, DNC docs were released by "Guccifer 2.0" and the first reporting was done on Colin Powell emails which were provided through DC Leaks. So it looks to me like this was probably a legitimate attempt to share at the time, undisclosed stolen documents with the Trump team. Yeah, to be fair. I wouldn't have even clicked on it if it didn't have the maybe. Classic troll thread. Well played Ante, bored were we? 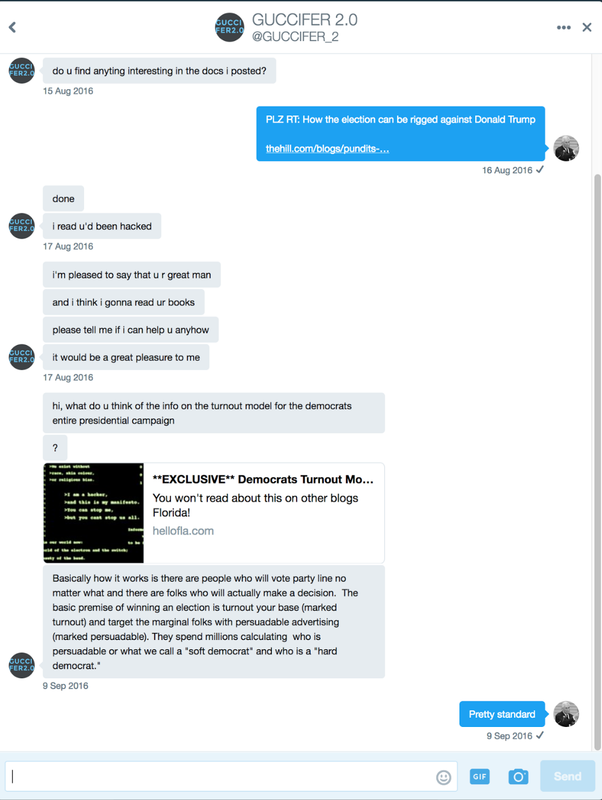 Also, Guccifer 2.0's links to DC Leaks can be substantiated by his use of the site to host archives he directed reporters to in private emails in late June. You've just posted Trump's political strategy. It's hardly a secret is it? The media call it populist. I call it being proud of your country and it's people. No, "maybe" in the thread title means that there's some unknowns and I didn't want to be too definitive without doing some background. Thanks for jumping on the dog pile with the useful idiots though.